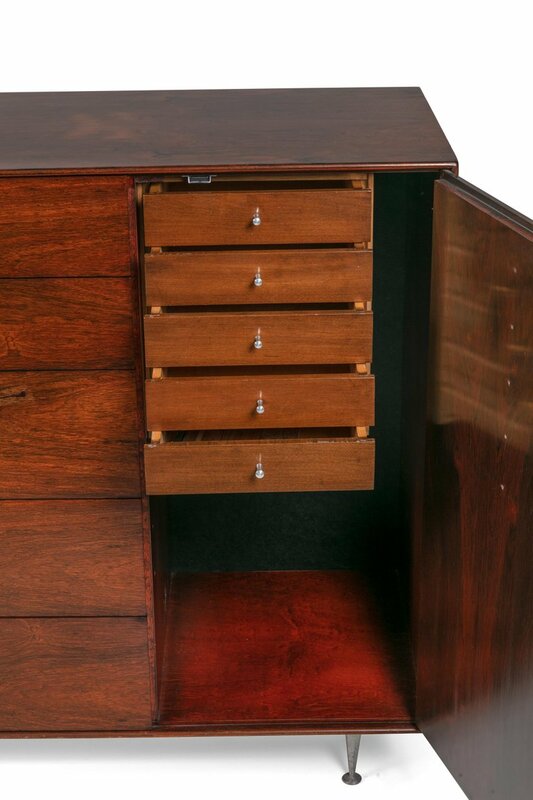 An outstanding piece of the highly desirable Thin Edge line of furniture. 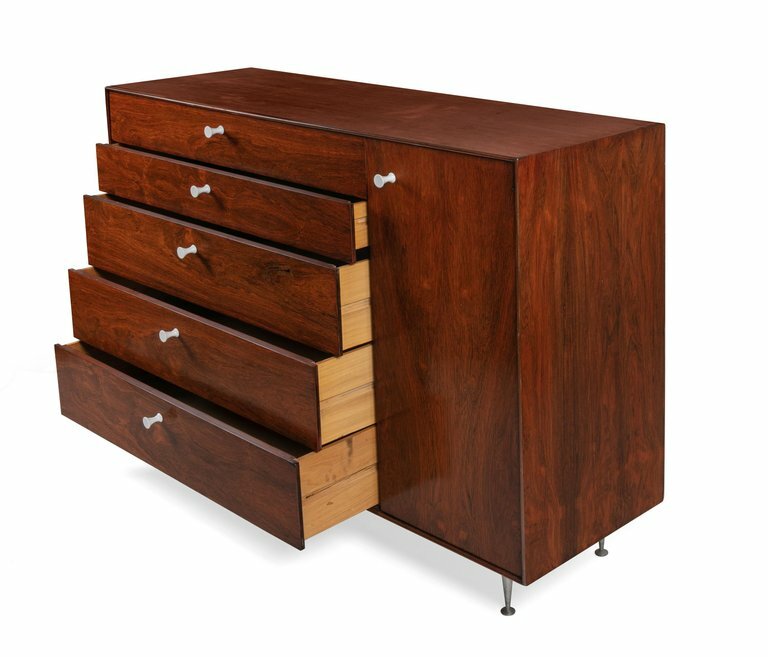 The quality of the rosewood is magnificent and the storage possibilities are excellent. H 19.5 in. x W 55.75 in. x D 19.5 in.